This is one of my favorite recipes. I think I found it in some parenting magazine. It's super easy, super yummy and makes for really great leftovers. Melt butter in a large skillet over medium heat. Add rice mix (save flavor packet for next step) and brown according to package directions. Increase heat to high and stir in water, tomatoes, and flavor packet. Bring to a boil and reduce heat to medium-low. Cover and simmer 15-20 minutes. 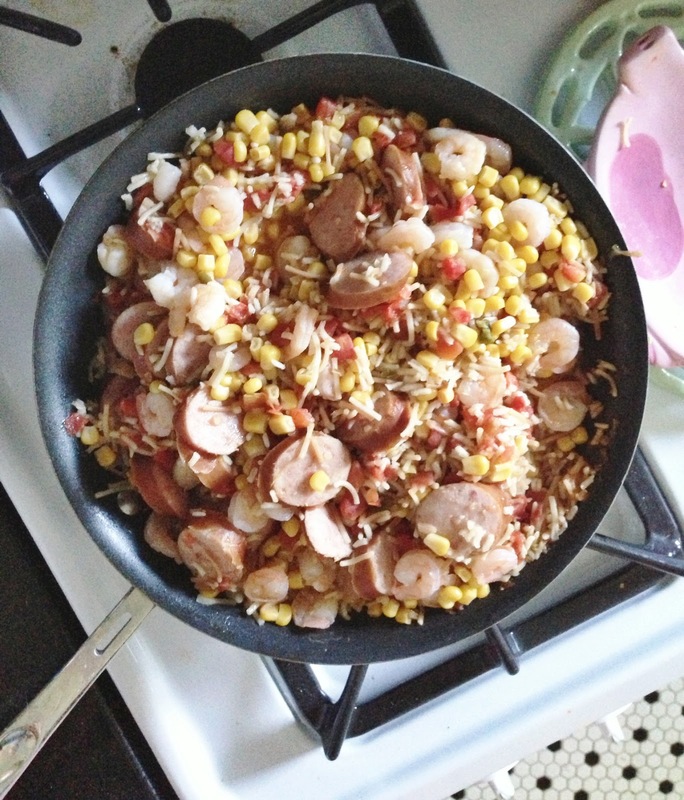 Stir corn, sausage and shrimp into rice and cook 5-10 minutes more, until liquid is absorbed and sausage and shrimp are heated through. Voila! A great dinner in only about a half hour. Enjoy!